Monday morning rush hour, Utrecht. Could it be a copycat of the New Zealand mosque attacks? Is this more “extreme alt right terrorism’? Might this be more “Islamophobia”? It seems that Muslims are once again under siege. 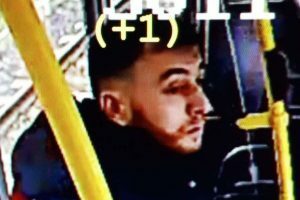 Turkish born Muslim Gokmen Tanis is arrested on suspicion of killing three people and wounding five others during the fatal killings on the tram. The narrative starts to fall apart. A prosecutor said the gunman may have been motivated by “family reasons” and Turkey’s state-run Anadolu news agency, quoting relatives of the gunman, said he had fired at a relative on the tram and had then shot at others who tried to help her. So, people shot to death on public transport in Holland is now designated as just a mundane family dispute and the terror motive quickly removed. And THAT is where the mainstream wants to leave it. Then, it is further reported that Tanis shouted “Allahu Akhbar” as he fled the scene of the attack. Additionally, a local businessman told the BBC, that Tanis had previously fought in the Russian republic of Chechnya. He further said that Gökmen Tanis was arrested and later released for his connections with Islamic State. The alleged killer is reported to have waged Jihad overseas. He is seen on video to be openly hostile of how women dress in Holland. He shouted “Allahu Akhar” as he fled the scene and left a note telling Police he did it in the name of Allah. The legacy media is aware of the above. To any reasoned observer, it is textbook Jihad. A barbaric act of radical Islamic terrorism. Yet it has all but sanitised it as a “family dispute”. Nothing to do with Islam, you see. Most people reading this will have had family disputes. That is normal! Has anyone decided that the best way to resolve such was to go and murder the person you were in dispute with? In any civilised world, the answer is no! However when we import third world attitudes then there is the risk we import this scale of savagery. A dispute is resolved by bloodletting. But the media adopts the Voldemort position on what really happened in Utrecht. It will NOT call it by its name. It is SACRED to state the obvious. But I will. This is bloody Jihad. All terrorism is wrong and the supine failure of the mainstream media has to be exposed.